Cost incidental to any change in the itinerary/ stay on account of flight cancellation due to bad weather, ill health, roadblocks and/or any force majeure beyond our control. After arrival at the Delhi airport/railway station, get ready for a day replete with fun and excitement. Board your designated vehicle and start your journey towards Manali. Widely appreciated for its pristine beauty and pleasant climatic conditions, this hill station attracts a large number of tourists from all across the world. Away from the pollution of the cities, breathing the fresh air of this hill station is a delightful experience. On arrival at this exotic destination, check-in at the hotel and unpack. You can rest at the hotel room as there are no activities scheduled for the day. Alternatively, you can opt to go on a sightseeing tour to visit its prominent attractions or go to shop and eat at the famous Mall Road. Thereafter, retreat to the hotel and enjoy a comfortable overnight stay. 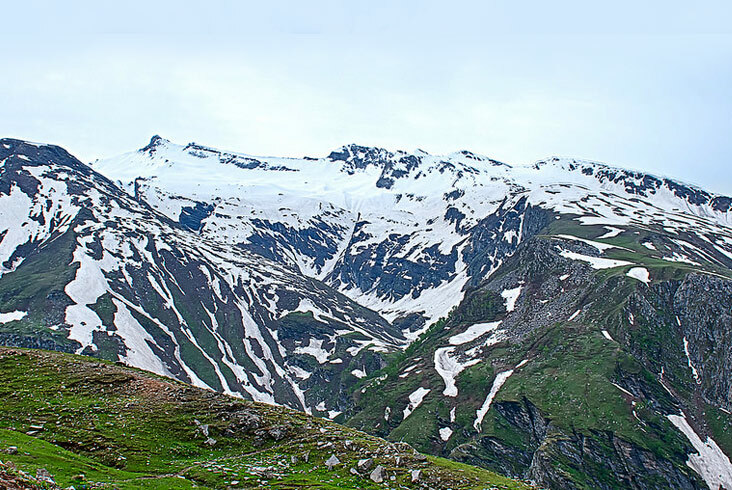 The following morning, embark on a journey towards the famous Rohtang Pass. Located on the eastern Pir Panjal Range of the Himalayas, this pass is set amidst snow-capped mountains. It serves as an ideal site for those who are interested in adventure sports, including skiing and trekking. The serene environment in this destination makes it a heavenly kingdom for newly-wed couples and nature lovers. 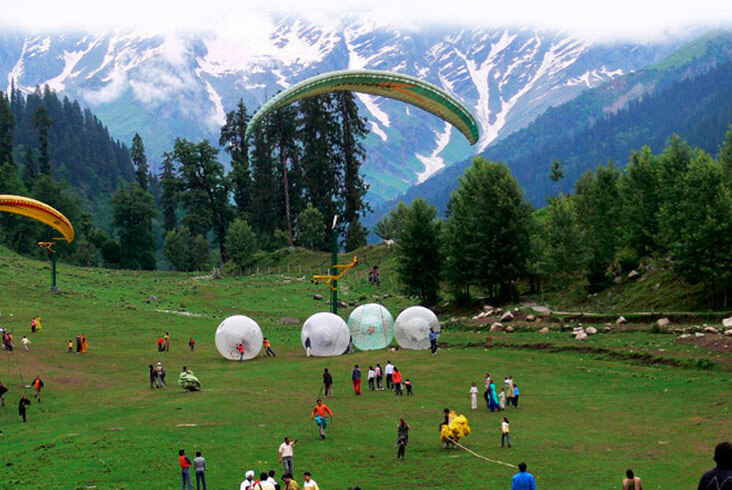 Also, it forms the major connectivity between the Kullu Valley and the Lahaul and Spiti Valleys of the Himachal Pradesh. Soon after spending quality time in Rohtang Pass, return to the hotel and rest for a while. Later, leave the hotel to explore the beautiful Mall Road. While a leisure walk in the Mall Road, you can indulge in shopping and savour various delectable cuisine. Colonial buildings, dotted all across the road, are an epitome of architectural excellence. Repose to the hotel for an overnight stay. 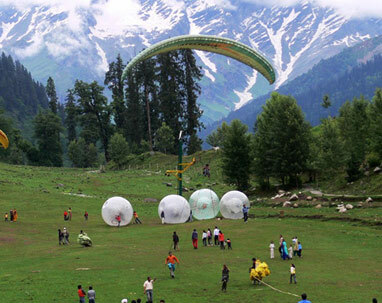 In the morning, get ready and gear up for a sightseeing tour of Manali. 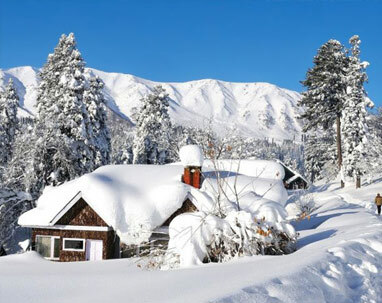 Situated at an altitude of 2050 m above sea level, this hill station offers splendid view of the snow-capped mountains. 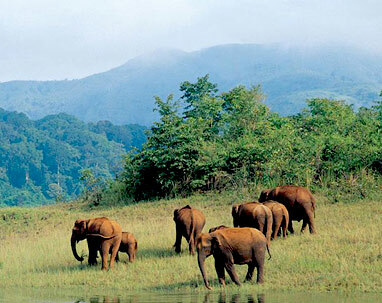 Owing to its pristine natural beauty and serene environment, it also holds importance in global tourism. Some of the attractions of this place that are worth a visit are Pandoh Dam and Solang Valley. Surrounded by Cedar forests from all sides, do not miss a visit to the famous Hadimba temple, which is widely acknowledged for its beautiful architecture and religious importance. Pin Valley National Park and Himalayan Sanctuary are the two major attractions for wildlife lovers and photographers. After spending the entire day exploring this exotic destination, spend the evening at leisure by visiting the famous markets to shop for a variety of items sold here, besides trying out local delicacies. In the evening, return to the hotel and stay overnight. After getting ready, check-out from the hotel and drive towards Dharamshala. Located in the Kangra district of Himachal Pradesh, it is a beautiful city divided into two parts – Lower Dharamshala and Upper Dharamshala. On arrival at this destination, check-in at the hotel and repose for some time. Later, leave the hotel for exploring this enticing destination. Commence the excursion with a visit to the Tibetan Medical Centre, where patients are treated with the use of rare Tibetan medicines. After exploring this place, leave for St. John Church, which is very famous for its Belgian stained-glass windows. Also, you can take part in various meditation courses and visit numerous Buddhist monasteries dotted all around the city. Spend the evening at leisure by visiting local markets to shop, eat and stroll to relax. Thereafter, retreat to the hotel and enjoy an overnight stay. Soon after getting ready, check-out from the hotel and head towards Dalhousie. This small hill station, located in the northern side of Himachal Pradesh, is named after the British Governor-General, Lord Dalhousie. Located at an elevation of 2700 m above the sea level, this place offer sensational views of the surroundings. On arrival at Dalhousie, check-in at the hotel and repose for sometime. You can spend the entire day at leisure, as there are no activities scheduled for the day. You can visit its prominent attractions or go to nearby local markets to shop for local items or souvenirs for your loved ones. Enjoy a good night's sleep at the hotel in Dalhousie. 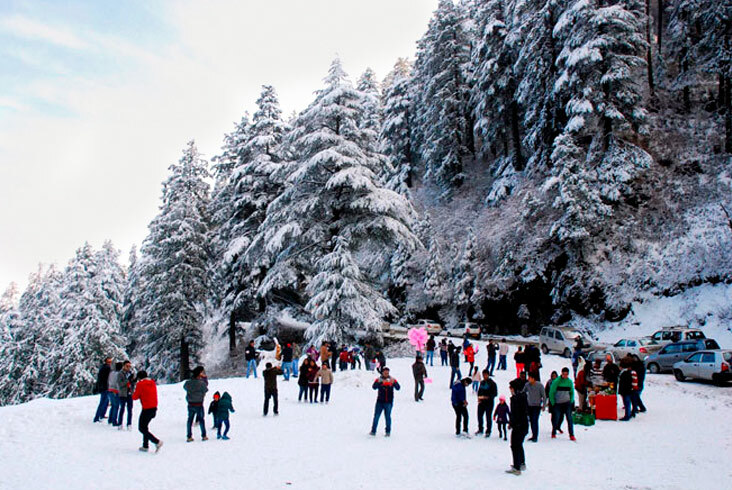 After getting ready in the morning, proceed towards the sightseeing tour of Dalhousie. 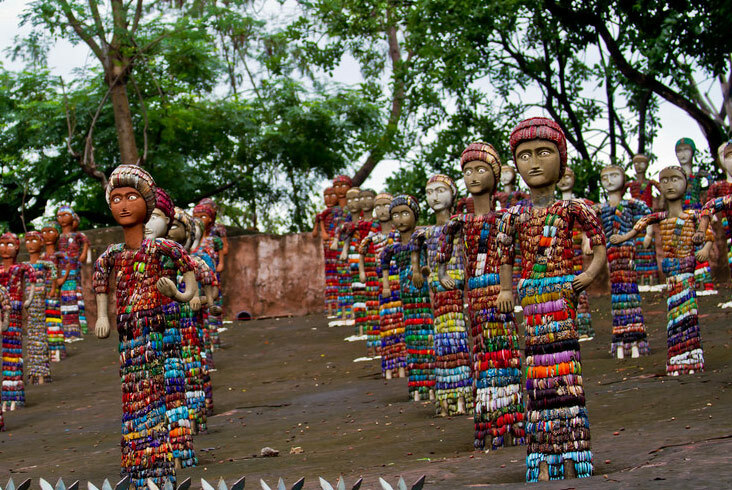 Start the excursion with a visit to Panchpula, which is a very famous picnic spot. Panchpula stream serves as the major water source for Dalhousie and Bahloon. Also, there is a monument built here to commemorate the memory of a great freedom fighter Sardar Ajit Singh. After exploring this place, move towards Subhash Baoli, which is named after Subhash Chandra Bose. Owing to lush green surroundings, this is an ideal picnic spot. Bara Pathar, is a small village famous for its temple of Bhulwani Mata. 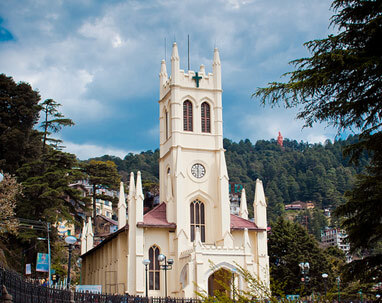 This hill station is famous for its colonial charm, which is evident from its beautiful buildings, bungalows and churches. Among the famous churches comes the St. John's Church, which is quite similar with the Roman Catholics church of England. While touring this destination, do not forget to visit the enticing Bakrota Hills. A walk in the winding streets surrounded by snow-capped mountains offers a lifetime experience. After the sightseeing tour, return to the hotel for an overnight stay. Drive from Dalhousie to the Delhi airport/railway station for your return journey. Passengers are joining the tour at their own risk and responsibility. Management will not be responsible for any injury, loss of any belonging of the guest in the rooms or damage to property due to accident or any other mishap. Management reserves all the rights to cancel the bookings due to unavoidable circumstances. Facilities like heater in the hotel rooms/ resorts will be chargeable as per Hotel to Hotel. Some hotels also offer free service. We do not provide any guaranteed for any such services without prior intimation. AC are not required in the hilly area. In winters, sometime due to heavy snow, the ice road may get slippery or closed and will not be suitable for driving. In such cases, we can arrange 4x4 jeeps which will cost extra and will be directly payable by customer / passenger or alternatively they can hire such jeeps on their own. Kindly furnish a valid photographic proof of identity in original at the time of check- in.Requested to carry the same along with you to avoid any inconvenience.The documents organised for this purpose i.e. Aadhar Card,Driving Licence,Passport or election card.